Wished they had printed instructions on how to use their tv. 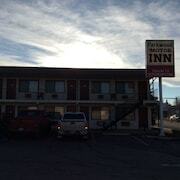 Where to find Sundre hotels near an airport? 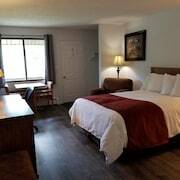 Where can I find hotels in Sundre that are near tourist attractions? 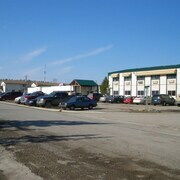 Expedia's extensive Canada database doesn't feature any places to stay in the vicinity of greater Sundre. 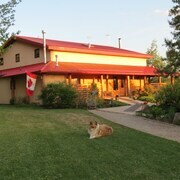 If you have time, you might like to discover the other scenic and cultural delights of the Southern Alberta region. If you love nature, be sure to explore Southern Alberta's rivers. You could also explore a selection of the region's old towns. Common pastimes in this particular part of Canada include snowboarding. Before you head home, why not spend an afternoon cheering along with fellow sports obsessives at a local match. Scotiabank Saddledome is 100 kilometres (62 miles) to the southeast of Sundre. Book accommodation nearby to the action at the Hotel Le Germain Calgary or the Kensington Riverside Inn. 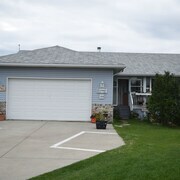 Calgary International Airport is a convenient airport for accessing Sundre. It is 95 kilometres (58 miles) away. 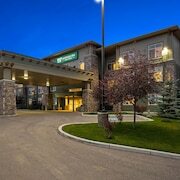 If you plan to stay nearby, try the Delta Hotels by Marriott Calgary Airport In-Terminal or Best Western Premier Freeport Inn & Suites. 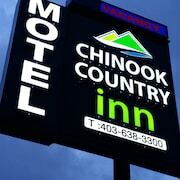 Are there hotels in other cities near Sundre? 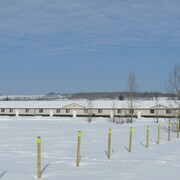 What other types of accommodations are available in Sundre? Explore Sundre with Expedia.ca’s Travel Guides to find the best flights, cars, holiday packages and more!